WILMINGTON, N.C. – The state’s 42nd annual gathering of shell collectors, exhibitors and enthusiasts returns to Cape Fear Museum of History and Science October 14 and 15, 2017. The 2017 North Carolina Shell Show, co-sponsored by the N.C. Shell Club and Cape Fear Museum, will feature hundreds of seashells – remnants of bivalves and gastropods alike – collected far and wide by club members and other exhibitors. Participants from Eastern and Central United States, including New Jersey, South Carolina, Florida and North Carolina will install museum-quality displays. The general public is encouraged to attend and learn about various aspects of shells and shelling. Shell club members will be on hand throughout the weekend to answer questions. Dealers will be onsite selling shells and shell-related items. 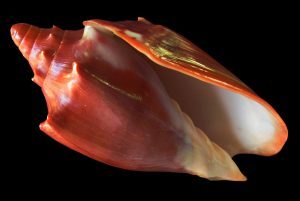 The Shell Show will showcase shells in more than 20 categories, from North Carolina collections and single shells, to mollusk natural history and shell photography. Rare, beautiful, large, tiny, freshwater, saltwater and land snails will fill several spaces within the Museum. Experience the largest gathering of shell collections in North Carolina on Saturday, October 14 from 9:00 a.m. to 5:00 p.m. and Sunday, October 15 from 1:00 to 5:00 p.m. The 2017 North Carolina Shell Show is free for Museum members or with paid admission. For more information, call 910.798.4368.